With polls showing party plummeting to just 4 to 8 seats, Labor Party members vote for candidates in nationwide primary. Voting opened in the Labor Party primaries at 10:00 a.m. Monday morning, as the roughly 58,000 dues-paying members of the party choose from the 44 candidates eyeing top spots on the Labor Knesset slate. Labor currently possesses 18 seats, after winning a combined 24 mandates on a joint ticket with the smaller Hatnuah faction in 2015. 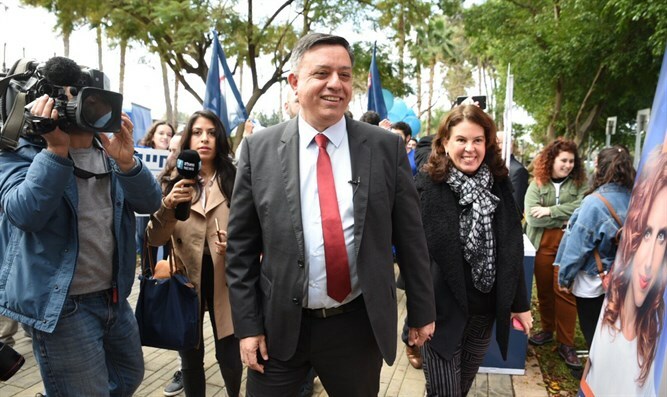 While the two factions had remained united throughout the 20th Knesset, in January, Labor chief Avi Gabbay pulled his party out of the Zionist Union, leaving Hatnuah’s future in doubt, with polls showing the party failing to cross the 3.25% minimum threshold. Recent polls show Labor winning just four to seven seats, leaving sitting MKs scrambling to win realistic spots in Monday’s primary. 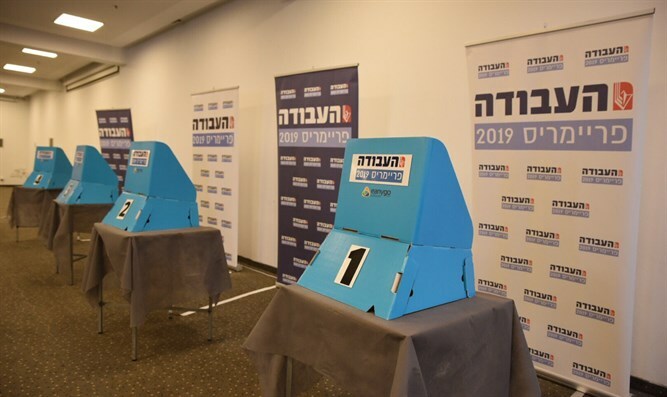 With the first spot on the list reserved for the party chief, Avi Gabbay, and the second reserved for candidate chosen by the party chief, only two to five realistic seats are open to the 44 candidates running in Monday’s election. In addition, the fourth, seventh, and ninth spots on the list are reserved for female candidates – a feature of the Labor Party’s selection process which could potentially further reduce the number of realistic spots available for those running in the primary, and leave even more incumbent MKs out of the 21st Knesset. Voting booths will remain open to registered party members at 84 stations across the country until 9:00 p.m. Monday evening.